Singing actors... there is plenty of evidence that it is not a good idea. Bruce Willis, Don Johnson and (shudder) Meryl Streep have all proved that they were better on the screen than they are on vinyl. With the exception of the latter of course, as she cannot even act. 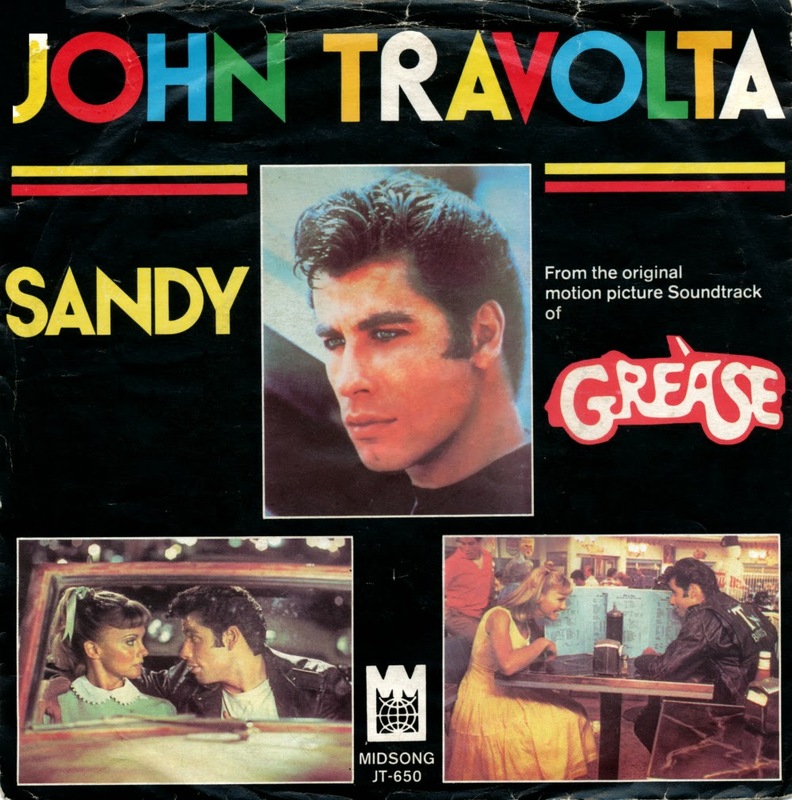 This single by John Travolta was, of course, released at the time of 'Grease', one of the biggest 'musical films' of all time. I wasn't impressed with this song when it was a hit, and hearing it now, I still am not. But the fact that this single was the only 'Grease' release my collection was lacking, and the fact that this was pressed on clear vinyl were great reasons to acquire this record anyway. I was never a fan of 'Grease' in 1978, when everyone in my class was. The girls were in love with John Travolta and the boys were in awe of him. Meanwhile, I preferred the singing qualities of Olivia Newton-John but thought the whole madness about one movie was a bit silly. I was always a bit sceptical of manias anyway. 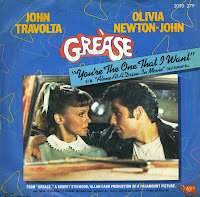 'You're the one that I want' did stand the test of time, however. The single was a number 1 hit in most countries and it is still the sixth best-selling single ever in the UK, where it has sold over 1,975,000 copies. So I go to this second hand shop I've seen on a website. The website says that there are bargain singles for 1 euro each. That's a reasonable price - if the singles are good. When I get there, the man says 'I am just getting rid of some stuff, so shall we say 10 cents each?'. It's like I'm suddenly a kids in a candy store with loads of cash to spend. So I buy literally everything that is vaguely interesting. 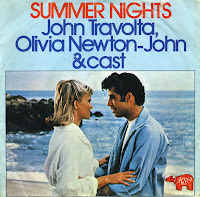 This was my first find: the 'Grease' single 'Summer nights' as performed by John Travolta, Olivia Newton-John and the cast of this 1978 movie that took the world by storm. The single reached number 5 in the US Billboard Hot 100 chart, number 2 in the Dutch Top 40 and number 1 in the UK singles chart, where it stayed for seven weeks.